2019 Term 1 has begun! Welcome to all new and returning members, we are all set for another exciting year of music! Auditions are still open, we are especially looking for year 3-4 viola, cello, double bass and violin players who have 6+ months of tuition. Contact secretary@wayouthstrings.org.au for more information or to arrange for an audition and be part of this wonderful orchestra! 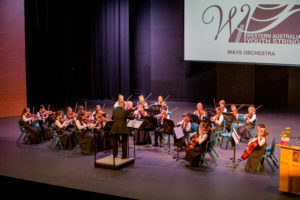 Once again WAYS and JWAYS performed in the WA Schools Junior Orchestra Festival (formerly known as ABODA) on Sunday 9th September 2018, held at Churchlands Senior High School. Congratulations to both our dedicated orchestras and our wonderful musical directors – Mr Ashley Arbuckle and Ms Sarah Clare – for their fantastic efforts! It is truly inspiring to witness the musical advancement of each group throughout the year, as they play and grow together, to achieve such excellent results. Well done to you all! 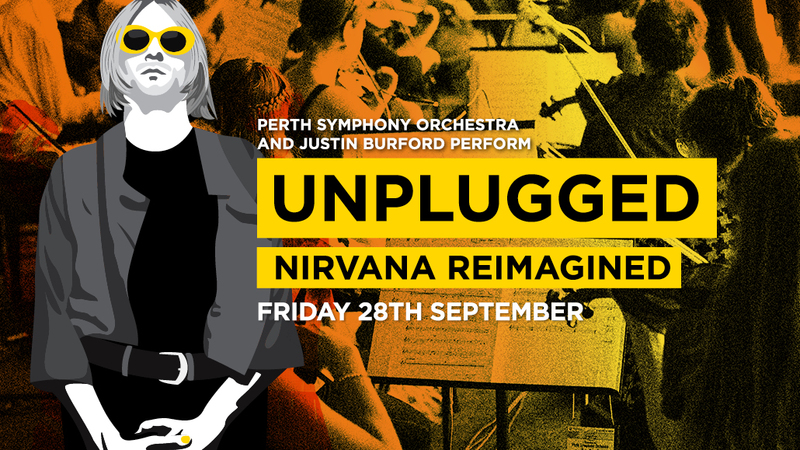 Back due to popular demand, don’t miss Perth Symphony Orchestra and Justin Burford’s ‘UNPLUGGED: Nirvana Reimagined’. This isn’t just Nirvana with strings. Prepare to witness a fully-fledged orchestra in bloom, transformed for one night only into a raging rock beast. All funding opportunities are vital to our not-for-profit, parent-run, community organisation. “It’s now over to you! Each month up to 40 community groups are shortlisted for an Easy Grant. Hopefully you think that’s us! The Mid-Year Concert 2018 held on Sunday 29th July 2018 was an afternoon of musical delight. 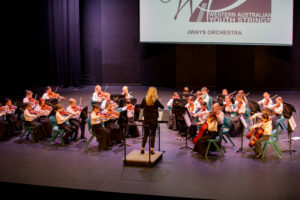 Congratulations to both our JWAYS and WAYS orchestras, who both gave wonderful performances under the direction of our very talented Ms Sarah Clare and Mr Ashley Arbuckle OAM respectively. Special mention of our WAYS soloists, who thrilled our audience with their beautiful and engaging performances! Plus most importantly, to all of the dedicated family, friends, and string teachers who invest their time and energy into our young string musicians. Your dedication is our success. 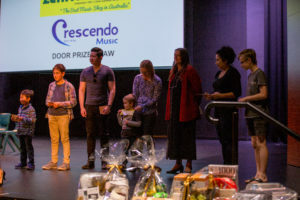 We had our first movie fundraiser on Sunday 17 June 2018 at Grand Cinemas Warwick with a great turnout! Everyone enjoyed watching “The Incredibles 2” and for those that missed out, stay tuned for your next opportunity to support your local orchestra member by having fun watching a movie and eating some popcorn! Thank you to everyone who went along to support this event and to those who were involved in making it happen. The Prospectus for 2018 is available at the Membership Tab. The first round of offers have been issued, however there are still places available. Please contact the Secretary if you are interested in joining. We rehearse every Wednesday afternoon through the school terms at Newman College in Churchlands. If you would like to come and see what we do before you submit an application, contact the Secretary, or click on the link below. Our Junior WAYS orchestra will perform together for the first time on Wednesday 11th April 2018. This is a free event and an important step for the JWAYS group (for many of the children it will be their first public performance with an orchestra), so please come along and support them. It is also a great opportunity to invite any prospective future members, so please invite other string-playing friends. Support your local orchestra member by purchasing a Cadbury fundraising chocolate! All chocolates and eggs are $2 each. Plus we have a monster 5kg box of Cadbury Favourites up for raffle – tickets are $2 each or 3 for $5 – to be drawn at the JWAYS Term 1 concert. Don’t miss out!